This month Greek Easter happens to fall 4 weeks after the American Easter, because of the Gregorian Calendar which we follow in our religion. Next year it will continue to be afterwards but only 3 weeks away, and the following year 2 weeks… and you get the message. Until the two Easter’s are celebrated on the same day. Here is my favorite Easter cookie recipe called. “Koulouria”. You can make the entire recipe for all the family’s in your neighborhood (haha!) or cut the recipe in half. It’s also May 1st, the beginning of a new month and we greet our friends and family with “Kalo Mina!” which means “Have a Good Month”. You are to leave your bad experiences behind from April (if any) and begin a new month. And here in America it’s May Day, celebrating the beginning of Spring and warm weather ahead. 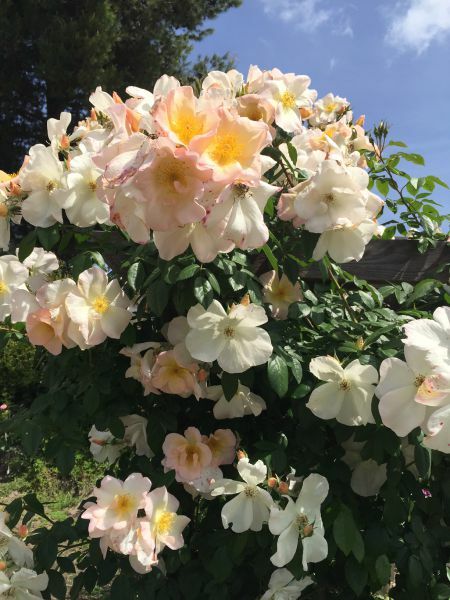 This is my Sally May Rose blooming only once a year, but quite a show, always in May! 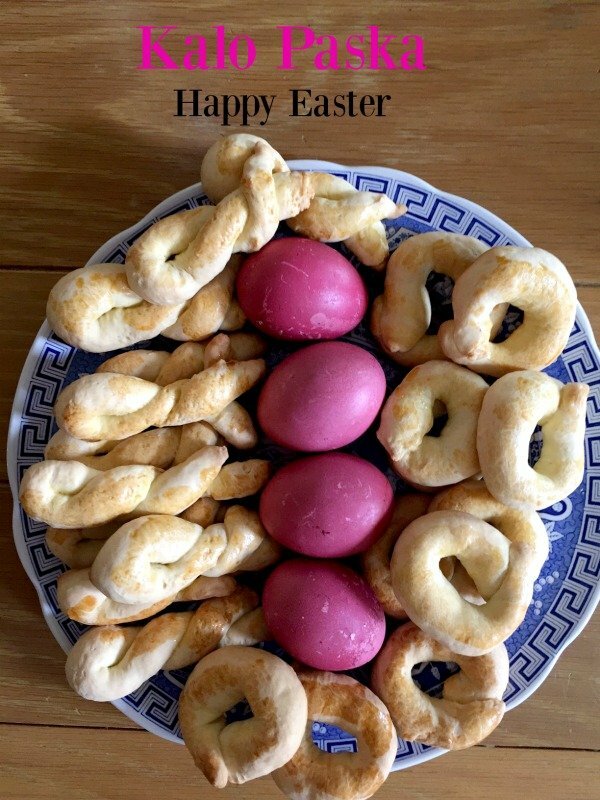 But to all Greek Orthodox Christians today, it’s Greek Easter and the beginning of a day with family with enormous amounts of food on the table. After fasting for forty days, or this past week we are ready to celebrate with dancing, beautiful food, and special desserts. 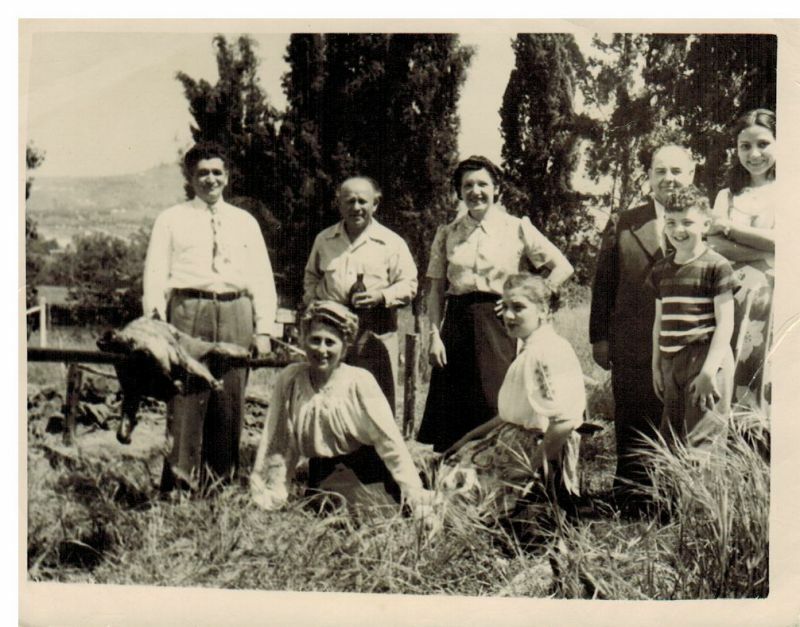 Here’s my family celebrating as the first generation with a lamb on the spit, enjoying Easter on my uncle’s avocado grove in Lemon Grove. 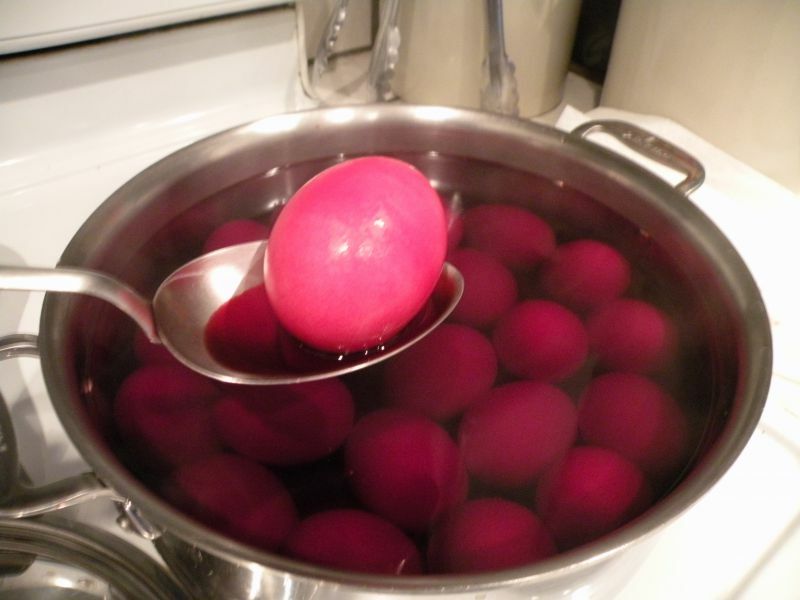 I enjoyed dying my eggs this year with beet juice and saving the beets for many evening side dishes for the family. I often make many desserts but this year my mother’s “Kouloulia” take center stage. They are quite pink, compared to the red color of most Greek eggs.